A responsive web design uses ‘media queries’ to figure out what resolution of device it’s being served on so that a common Website can be used for all platforms be it Desktop or any other mobile device. But like every thing else responsive web design has it’s set of problems too. To start with it is very hard for the Web Developers (in India) to explain ‘Responsive Web Design’ to their clients. The old process was a linear one with properly defined stages while the Responsive Web Design is a different ball game all together. The other set of problems are navigation, images and tables. These features can be quite fancy in a normal site but it takes a lot of imagination and creativity to accommodate them for a ‘Responsive Website Design’. Besides which the W3C community group hasn’t approved a specification, so Web Developers in India are left with small personal list of of scripts to use. Besides this the Responsive Websites have a poor information Architecture and are harder to search. There are several problems related to SEO optimization as well since Responsive Websites do not use Mobile Specific Keywords. These sites are slower then normal sites since at the end of the day it is the same site that is loading both on the PC and on the Mobile. Thus smaller screen doesn’t necessarily mean faster loading. 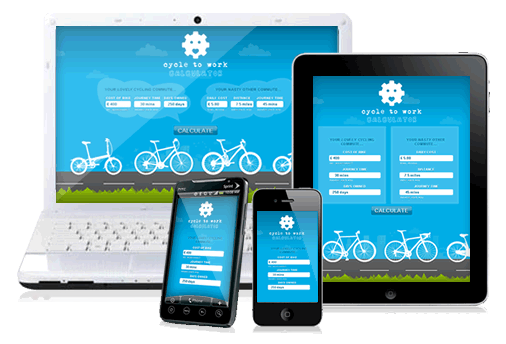 Responsive sites tend to lack the features commonly available in Mobile Websites. There is the Time & Money factor which is not in the favor of Responsive Design as well. It is no longer a simple photoshop layout and streamline process since care needs to be taken for every imaginable resolution and screen size; thus increasing the time and money used to develop such designs. All said the main issue surrounding Responsive Design is the fact that it would suppress the innovations occurring in Normal web design . However that is not the case as yet since Responsive Design has not yet been widely accepted. On the other end of the Spectrum Special Mobile Applications would be a far better option for the Business since it would have the ability to utilize all of the features generally available on the mobile like location service to name one. A good example of this is the award winning application by JP Morgan Chase which allows customers to take a snap of their checks as a quick deposit. Another very good example is Google itself who inspire of recommending Responsive web design; largely develops mobile only sites and content. Summing it all up there are people that use the computer to perform many tasks and then there are people who prefer to use their Mobile phones to do the same tasks. Both are rapidly growing markets the difference being that the Mobile Industry is set to out pace the PC industry. This does suggest that the number of people that own a mobile is increasing at an alarming rate. These Mobile phone users like to have their Applications and access to Website on the move too and those sites specially developed for a Mobile Platform are likely to be more feature rich then the Responsive Websites.